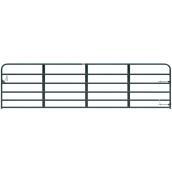 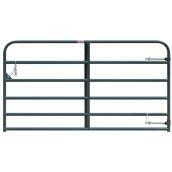 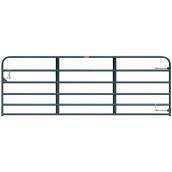 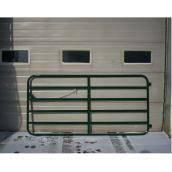 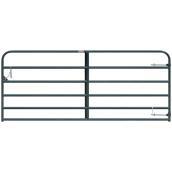 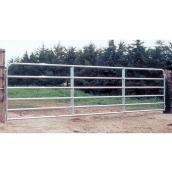 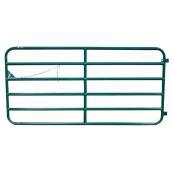 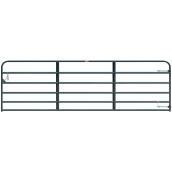 Keep livestock secure with farm gates. 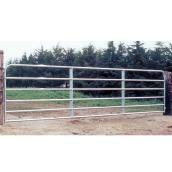 Most gates have six bars to prevent small animals from escaping. 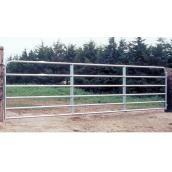 Options include painted steel, galvanised steel, and aluminium. 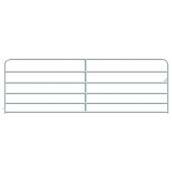 Gate widths vary from 4 to 20 feet and the height between 48 and 50 inches. Use iron and barbed wire farm fences for large farm animals such as cattle. 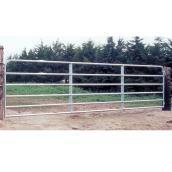 Electric fencing is a good alternative for horses. 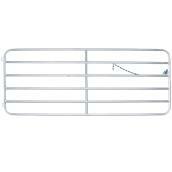 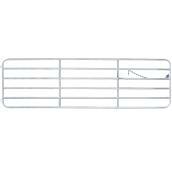 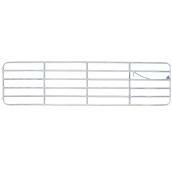 Consider weld wire mesh fences for small animals and domestic security.